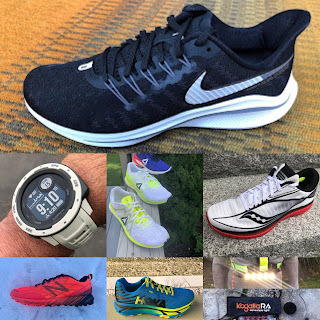 Nike until recently has not focused on high performance trail running shoes and gear. 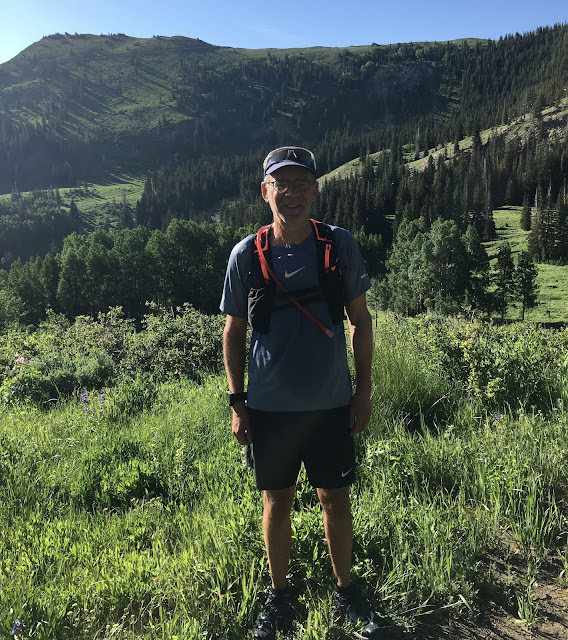 Cautiously and meticulously, with limited items in the line and sponsorship of top trail runners through their Nike Trail Running Team, Nike's three high performance trail products are outstanding. 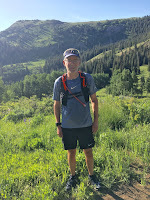 Joining the excellent Terra Kiger and Wildhorse shoes (RTR review coming soon) is the Trail Kiger Vest. $185 Available now. Running Warehouse was kind enough to send me one to test. I have been delighted with its snug absolutely no bounce, strap adjustment free fit even with 3 liters of water on board. 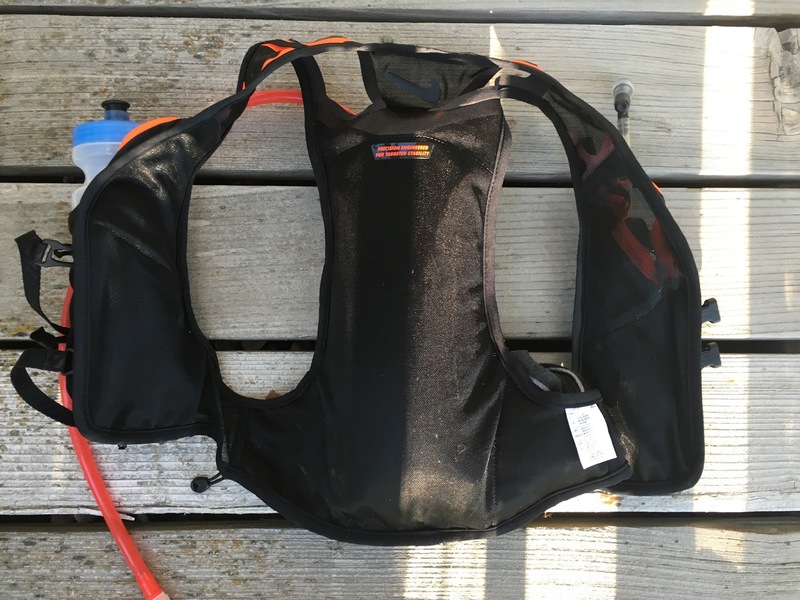 It is more "harness" than pack, vest or near shirt as my previous favorite the Salomon Sense Set is (review here), a shirt like vest with 2 front bottles. The Trail Kiger is literally one with your upper body, almost an exo-skelton but an incredibly comfortable one with no movement, no chafing, and no sense other than snug fit that you are carrying anything. I have worn it on the roads and on trails in New Hampshire and Utah with various bottles and while using a 2 liter bladder (not included). 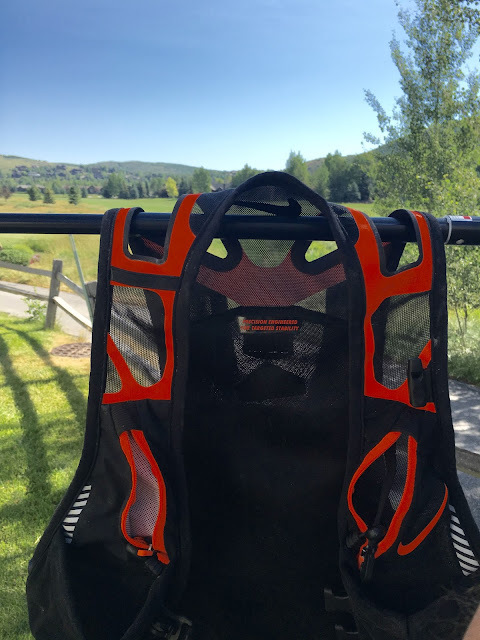 The Trail Kiger sits between a minimal vest such as the Salomon Sense Set and slightly higher capacity vests such as the Ultimate Direction SJ Ultra Vest or Salomon Advanced Skin3 5 Set. As shown in the picture above if you fully load it with a bladder and 2 front bottles for a total of 3 liters you will have room, barely, for a very light jacket, hat and gloves, cell phone in the water resistant rear pocket and some nutrition. If you use front bottles and no bladder you can carry more clothing and food, you can also reach and slide out your mobile in the rear water resistant pocket, something which becomes much more difficult to do with a full bladder. The front pockets cinch down and hold soft flasks as well as bike bottles-a bit uncomfortably over the ribs, something the Salomon vests do not do, only fitting soft flasks. With bladder alone you can use the deep and adjustable front pockets for phone and nutrition, a good way to go as there are only 2 very small pockets on the shoulder straps one water resistant for salt pills and a mesh one for not much more than a car key. Opposite the rear water resistant pocket is a slide in stuff pocket good for a light jacket or hats and gloves. More front carrying capacity would help as would some expansion bellows for the main rear pocket. With the exception of the water resistant phone and pill pockets and an elastic pocket for the bladder the entire vest is made of 2 types of thin mesh with soft bindings. The lower back mesh is double layer with the layers sliding over each other to reduce friction. Unlike competitors offerings, none of the mesh is what could be called extremely soft or stretchy except for 2 small panels between bottle holders and back but I have had zero chafing or discomfort, likely due to the snug fit. Unlike any other vest I have tried, there is never that annoying twisting of the shoulder straps when putting the vest on. Everything is breathable and there are no materials which will absorb sweat. When using a bladder with cold water or ice there is a pleasing cooling of the back. The fit is without a doubt snug, truly at one with the body. It is very important to get the right size corresponding to rib cage circumference. My measurement of 39" sat right at the top of Medium, the size I was sent. Initially, I thought the vest was too small as the 2 chest straps were fully extended and things were tight even with just one bottle in the front. After a few runs the straps seemed to stretch enough making for a more comfortable fit even fully loaded with 2 liter bladder and 2 bottles. The 2 chest straps are on sliders so you can easily move them up or down. My sense it that the lower strap could be longer. If you are on the edge of sizes and plan on running with this vest fully loaded over winter layers you might consider sizing up. I asked 4 ladies I ran with in Park City to try it on after our 14 mile mountain run and while initially skeptical seeing it they thought the vest would work well for them. They all had women's specific vests. The Trail Kiger is unisex. The fit and ride is outstanding. 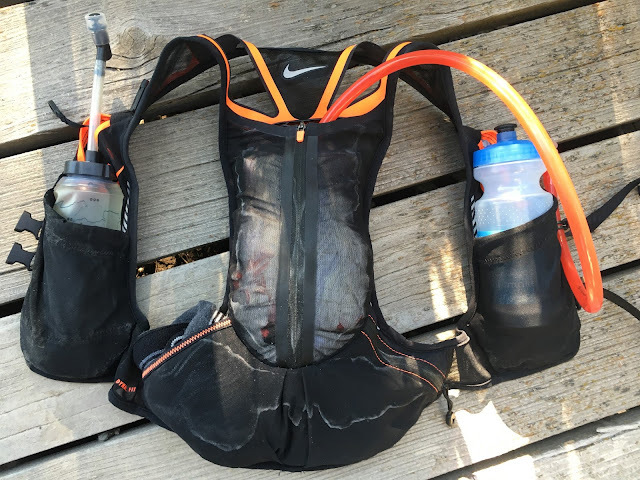 Nike has delivered a top of the line and top... priced high performance hydration vest on their first try. 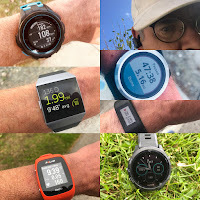 There is no difference in performance fully loaded or empty and nothing to adjust on the go. You just never think about having a pack on. Correct sizing is important given the close to the body fit. 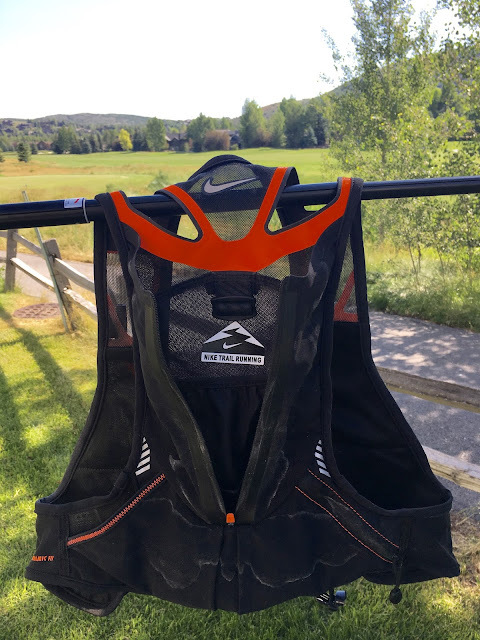 I had been looking for a vest between my super light weight Salomon Sense Set and larger Ultraspire Titan 2. Something with the flexibility to carry more water or gear for longer runs in warmer weather which was not a pack. Terra Kiger fits the bill superbly. Some may wonder about the very snug fit but at least in my experience the advantages of dialed in body conforming, chafe free fit, with any load, outweigh any perceptions that the vest may be constraining. -0.15 for top of the market price for a hydration pack, and one without bottles or bladder. -0.10 for lack of easy to reach small front stuff pockets when using bottles. Over 30 in depth Road and Trail Shoes reviews in 2016! Hi Sam, thank you for the detailed review. I still have a questionnaires, which 2L bladder doe you use? Most bladder are 35cm long and 16cm and due the fold zip, it's noth smooth in the vest. Thank you for the info and a great review!